I perfectly well know all technical specifications of my own yacht by heart and can instantly recall the length over all of my King´s Cruiser 33 as measuring 10,24 metres. By looking at the specs plate of the yacht on the boat show I read “Loa: 10.28 m”. So, that can´t be a 35-footer. The yacht he was standing on was a Dufour Grand Large 350. You don´t find a regular pattern here. Whereas the Bavaria Cruiser 34 is a 32-footer, the Bavaria Cruiser 37 is indeed a real 37-footer. It gets even weirder: Jeanneau´s Sun Odyssee 319 is a 32,2 feet boat and the Sun Odyssee 349 is a 33,9 feet boat. 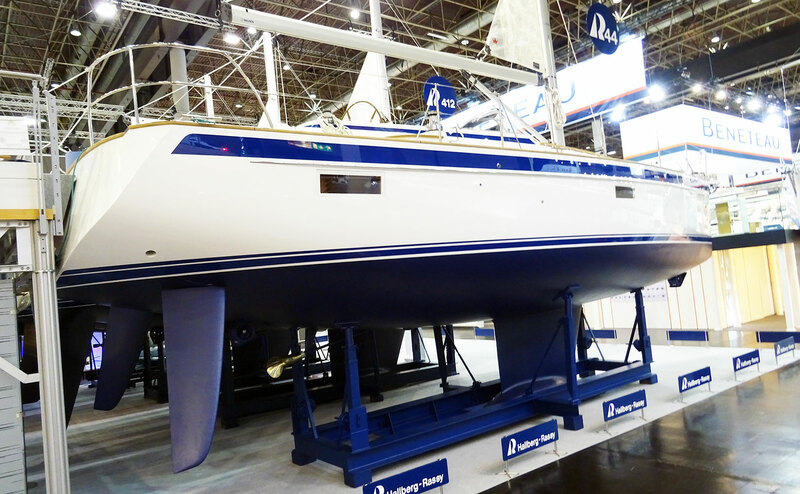 Beneteau´s Oceanis 31 is 31,9 feet long, the Oceanis 38.1 is 37,7 feet long. So again, sometimes the designations imply bigger boats than they actually are, sometimes the designations are smaller than the boat actually is. As I am myself working for Beneteau yard I was writing an email to my contact at Givrand in France and he wrote back: “The boat length we are referring to in the commercial name is not meant to reflect the exact boat length. It is meant to give an approximate dimension of the yacht. ” So the designation is just a kinds of reference to which range or class the yacht belongs. Flemming Ancher from X-Yachts says: “Up until the new X-line came out last year, we had always used the hull length as the model number.“, he states, and I confirm, the Xc 38 is indeed measuring 38 feet, the Xc 42 measures 42 feet. But he says: “We have been forced to change this practice, because our competitors are using overall length as the model number. When we launched the new X4 it got compared to the Solaris 42. So our clients thought that they were comparing a 40-footer with a 42-footer. But in fact the X4 is bigger than the Solaris 42, which has an overall length of 12,36 m where the X4 has an overall length of 12,91 metres, measuring 42,4 feet.” In the end, Flemming says, the X4 now is called the X43. Hull Length or Length over all? 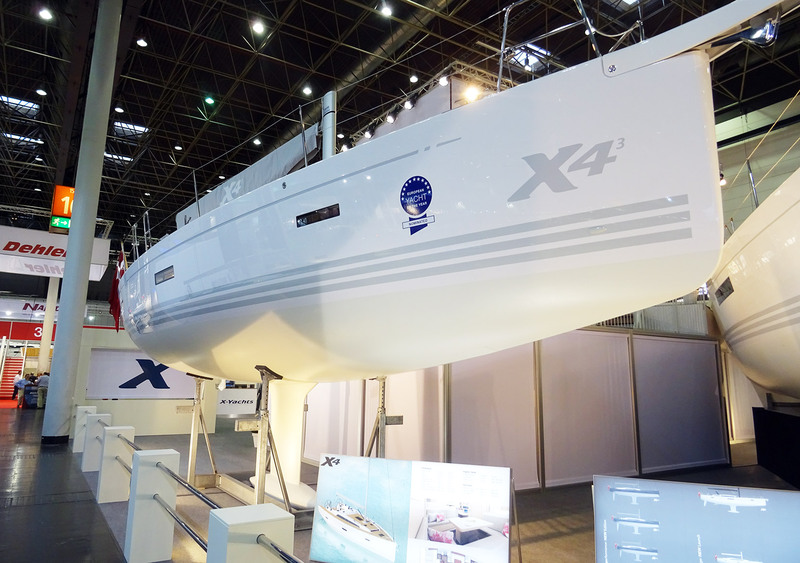 Flemming also states that with X-Yachts both the Xp- and Xc-lines still have model designations referring to the hull length. But as the rest of the business is taking overall lengths, they will maybe have to change this in the future. Magnus Rassy states: “This “deception” may have several reasons: I guess a kind of buyers is looking for a boat with a model name with as many feet as possible for the money.” This may explain why some yards may choose “bigger” sounding designations. With Hallberg-Rassy, that´s completely different, he says: “The typical Hallberg-Rassy buyer is not looking for as many feet of boat possible for a certain amount of money. The Hallberg-Rassy buyer wants a well-built boat to a given size. Also, many boat buyers do not want a too large boat, maybe for handling reasons, maybe because of marina berth issues.” Looking at Hallberg-Rassy´s type designations, I see that the HR 340 indeed is 34 feet long, the HR 370 is 37,2 feet long, the HR 44 is 44,2 feet long and the HR 48 MKII is even bigger: 49,2 feet long. It´s just a fact that the ship´s size does matter. Not solely for showing off. Distinct “ranges” of sizes of yachts are a guide for experienced skippers to judge a boat. I know that yachts of 35 and 38 feet are perfect for a small crew and a short (1 week) sailing trip. 40 to 42 feet is a great size for a perfect multi-week-holiday sailing session for a whole family. Ocean crossings will be just fine in 44 to 46 feet as you need a certain size for coping with large waves and having decent space for you and your crew. Again, as being a sailor – especially for Europeans outside of the UK – means to get accustomed to “miles”, “fathoms” and – you name it – “feet” it´s a perfect compass to get an idea of which class a boat is belonging to. But you should always take a closer look because designations in feet, especially in boat “names” by the yards and when altered into “350” or “38.1”: Because this is just not legally binding. 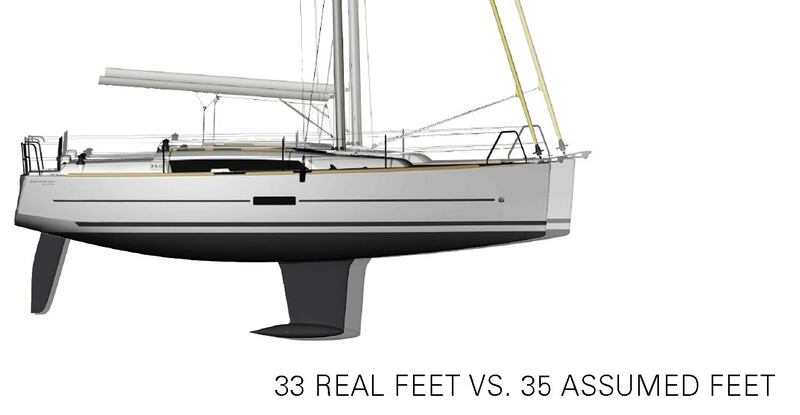 If you want to obviate the kind of disappointing moment when you realize you didn´t actually buy a 35-footer but a 33, you should always check the metric data because the explicit dimensions in metres are binding and make the different models, brands and “brand”-designations of yachts comparable to each other. On the other hand: As long as you love your boat and the actual size fits your needs and expectations, who cares about the name? The X4 actually have a hull length of 12.50m, so it’s only 41 feet. 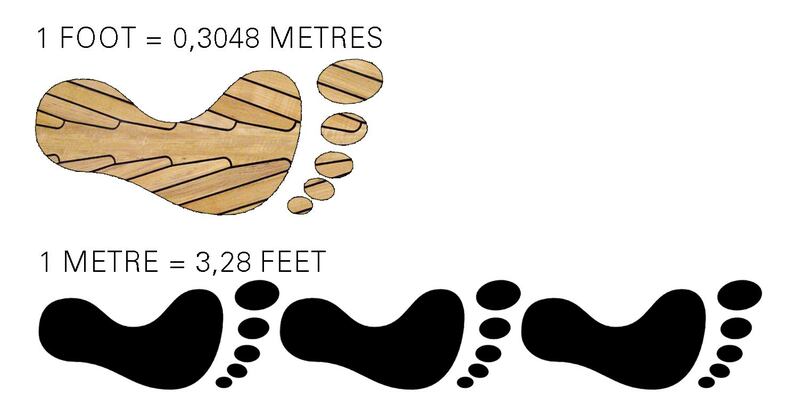 This is why I mentioned to check the metric data very carefully and not “fall” for the designations implying feet – which in most case is just a name. So,have you actually measured the length of your “33 foot” Kings cruiser’s hull ? Bowsprits don’t count. You may also find that your keel is not cast iron, and you won’t float in 5’2″ of water.